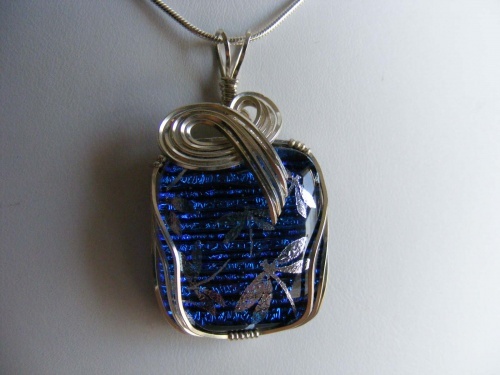 This pretty handmade dragonfly dichroic pendant is enhanced with sterling silver curls and is made to last a lifetime. Dragonflies signify a turning point in a person's life. What better than this beautiful piece as a symbol of that. Measures 1 wide by 1 1/4" long and comes with a sterling silver chain.